← Buying an old car (in Canada), what could go wrong? Travel is all about time and space. The West and the Prairies have nice defined borders, and mostly two lane highways. Ontario is another story. 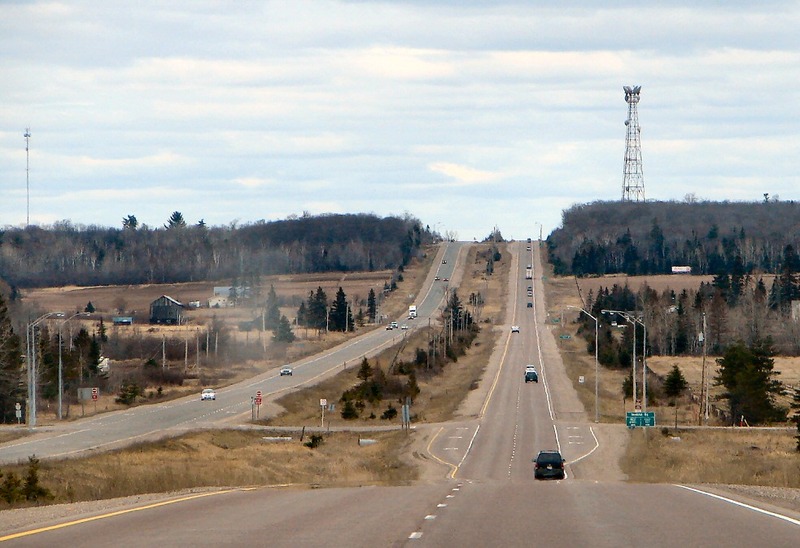 It is a very wide province and although there are passing lanes, the Trans-Canada highway is mostly a two-lane road outside the big cities. So, we hold our breath as we enter Ontario. First marker is Kenora; some 200km from Winnipeg. The clouds slowly take over and our enjoyment of the sun is short lived. Next on the map is Dryden where we stop to refuel. 70km past Dryden, we pull at a provincial rest-stop right next to Highway 17, which is also Hwy 1. There are a few travelers there and we drive past them to find a nice spot by the side of a lake. We have something to eat and use the facilities. It is cold and rainy. 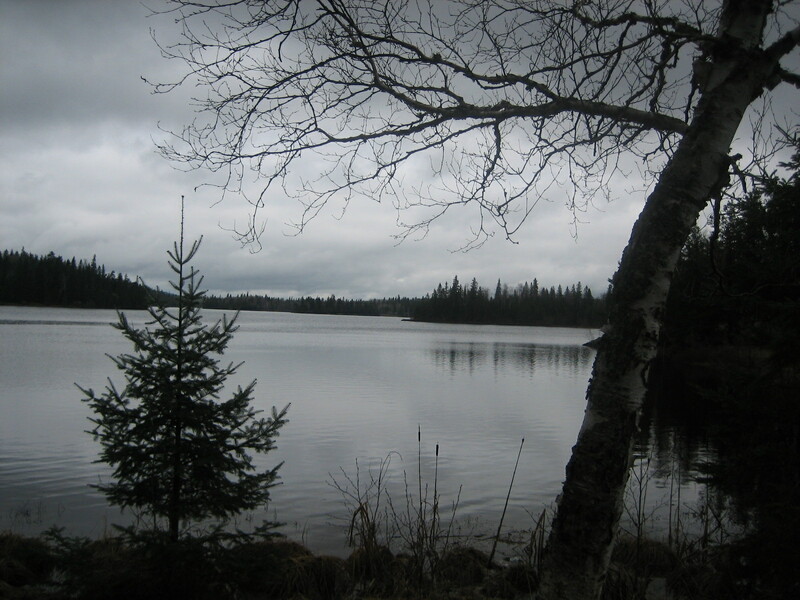 The ice on the lake has thawed and so have the black flies. We get back in the truck and as we make it on the Trans-Canada highway I notice that the engine doesn’t have its usual zip. We travel a stretch of road that is fairly flat so the truck is not struggling too much, but it is still under-powered. There is road work up ahead and a flagger stops the traffic on our side. There is only one lane open. We wait for a while. After the traffic from the other lane has passed, it is now our turn. It has become even more obvious that the truck doesn’t have much energy, especially since it’s loaded and pulling a trailer. Because of the road work, we are travelling at a slow speed. After a while, we get past the road crew and are directed to get back in our lane. Not too far ahead, there is another provincial rest stop and I decide to pull in there. There is definitely something wrong with the engine. The entrance to the park is paved and fairly wide. I turn the whole rig around and pull to the side. This way, we don’t impede visitors to the park, and if we need to be towed, the truck and trailer will be facing in the right direction. I look in the engine compartment, but I can’t see anything wrong. There’s plenty of oil, plenty of transmission fluid and plenty of engine coolant. After some mumbling and grumbling, I try to use my LG phone. It’s a Telus phone and I should be able to use it on any network in Canada, but there is no signal. I try my wife’s phone; same thing. I decide to walk back to where the roadwork is taking place to see if I can get some sort of help. I cross the highway and approach the flagger. After explaining the situation, he hands me his phone and tells me to use it. He said he’s got unlimited minutes with Virgin Mobile and he gets a signal with no problems. I call BCAA and they have a truck with a flatbed and a tow ball showing up within the hour. I thank the flagger profusely for letting me use his phone. Unlike the first BCAA tow man we encountered, he is well equipped. But unlike the other man, he is not very happy to be there. He is overworked and doesn’t want to take me to his garage because he has too many clients waiting already. The only option is to go back to Dryden at either the Ford dealership or the Canadian Tire. There is also a third place he suggests, but I choose to be dropped off at the Ford dealer. He drives the truck on the flatbed and hitches the trailer. The rain is picking up and the trip back to Dryden is slow and somber. By the time the tow truck driver drops us off at the dealer, they are closed and it’s getting dark. Now, the rain is coming down like buckets. The driver of the tow truck does a good job parking the trailer. It is nicely tucked away at the back of the dealer’s lot. I drive the truck off the flat bed. The man leaves. The wife is miserable. The cat is miserable, and I ain’t happy about this latest turn of events. My wife just wants to go to sleep in the trailer, but the load has shifted and the trailer is a mess. I tell her that I’m going to go rent a motel room. On the drive back to Dryden, I saw a motel near the Ford dealer. Although the truck is underpowered, I drive it. As I get near the motel, I see that it is closed, but past it, there is a small motel tucked away on a corner, across from the KFC. I knock on the office door and a man answers. He tells me that there is a room available and I promptly rent it. I go back to the trailer to pick up my wife and Java Man. They have a good night sleep. Me. Not so much. The next morning, the rain has stopped, thankfully, and I show up early at the Ford dealer. Like most dealers, they are booked for the day, but after they hear my story, they “squeeze” me in and fix the truck. It turns out that it was the coil on plug on the number six cylinder that failed. It is beyond me why engineers decided to get rid of distributors and the cap for a coil-on-plug for each cylinder. So, a couple of hours later and $400 tacked on to my credit card, the truck is ready. It drives like its normal self, again. There’s about an hour to go before we have to check out of the motel, so I decide to give my wife and the cat a bit more time to rest. In the mean time, I fill up the gas tank and I go to the Canadian tire to get a new hitch and tow ball. The one I had on was a bit loose and the last thing I needed was for the ball to break. I also get more water and snacks for the trip. I go back to the motel and we pack everything up. We’ve lost another day, but we are happy to get back on the road. A bit tentative at first, we finally relax a little bit. What the hell else could happen? We stop at the Shell station in Upsala, originally a station for the Canadian Pacific railway. It was named after Uppsala in Sweden. Many of its residents originally came from Scandinavia. After filling up, we go into the restaurant for an excellent meal, including home-made bread. 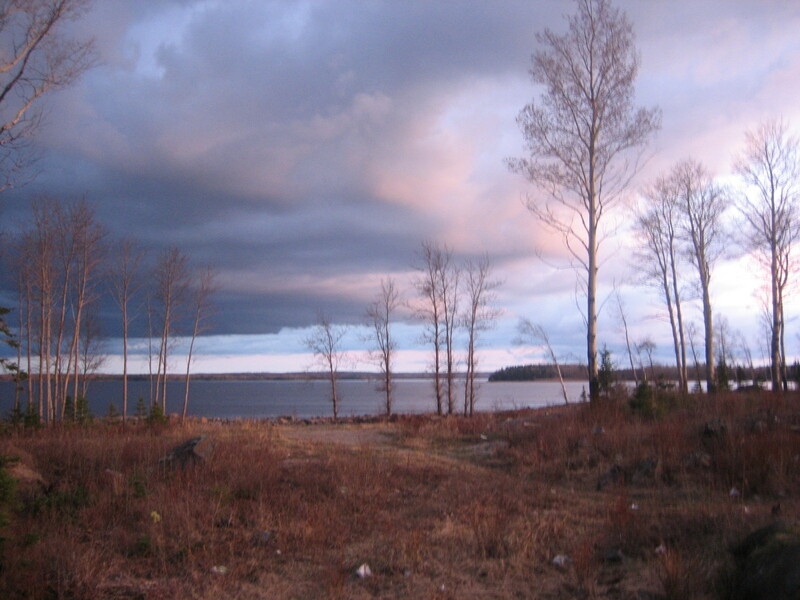 Satiated, we get back on the road and make it to Thunder Bay; a four-hour drive from Dryden. We push on to Nipigon. It’s another 120km away. I feel like we’ve got nothing to lose at this point and I decide to leave Highway 17 and take Highway 11. This way, we will avoid more traffic and a bunch of towns along that stretch of Trans-Canada highway. We will also avoid driving through Ottawa. After fueling up in Nipigon and taking a bit of a break, we soon realize that taking Highway 11 was a big gamble. There might not have been much cellular signal for our crappy phones, but there was more traffic on Highway 17. Highway 11 feels like the end of the world. There’s nobody there. The sun is setting, but I keep on driving. We make it to Longlac; 200km away. I’m getting tired and it’s getting darker. Longlac is nice. There’s a lowly church by the lake. It must be real harsh in winter. I drive past Longlac hoping to find another gas station apart from the one we saw at the entrance of the town, but there is none. We do find a pull out on the left side of the road. We decide to go back to fill up and then we will return to the stop to spend the night. We fill up in Longlac. There are lots of native kids hanging around the gas station, looking bored. We drive back to the rest stop we had used for a round-about earlier. Soon after we settle in, a big rig pulls up at the same stop. Truck drivers have this habit of leaving the engine running and they seem to sleep through it. This guy probably wanted to take a leak or grab something. In any case, he doesn’t stay long and leaves. As I’m drifting off to sleep, leaning against the driver side door, another rig pulls in right beside us and releases the pressure in his air brakes. There are so many lights on his truck that it would make your average Christmas tree envious. He backs up the rig behind us and leaves his engine running for quite a while. Although, I’m very tired I cannot sleep with all that racket. And I’m sure my Cat doesn’t like it much either. My wife will sleep through an earthquake. The inconsiderate moron finally turns off his lights and the engine. By now, I’m still tired, but I am fully awake. I’ve had enough of this and we get back on the road. We make it to Hearst in the wee hours of the morning, 200km from Longlac. 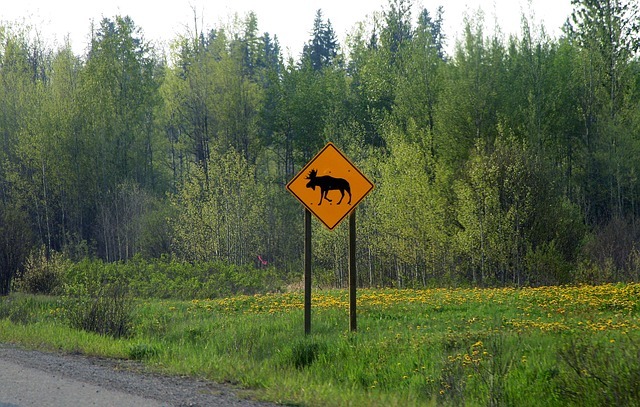 There was nothing but nature in between with a lot of signs warning drivers to be careful about Moose crossing the road. We start making fun of the moose on the loose and any combination of words thereof. Fortunately, we do not encounter any. We pull into a rest stop just before Hearst and catch a couple of hours’ sleep. We are dead tired, both physically and mentally, and need to shut down. From Nipigon to Hearst, the road is pretty good. From Hearst on, it’s garbage until we reach Kapuskasing. Then, it becomes wavy. Sassy, but not brassy. I’m still tired. I think my wife is becoming seasick. We stop in Smooth Rock Falls, 160km from Hearst, for a well deserved break at the Esso station. There is a diner adjacent to the station. The food is plentiful, good and reasonably priced. Like the Shell station was in Upsala with its diner, those two are becoming a rare breed. The humdrum of the trip returns when we depart Smooth Rock Falls. What a quirky name for a town. Whatever enjoyment we felt for the trip is long gone and now my only goal is to make it to destination on that day. We had left Hearst at around 5:30am and I was determined to make it to Lachute, over 1000km away, before midnight. 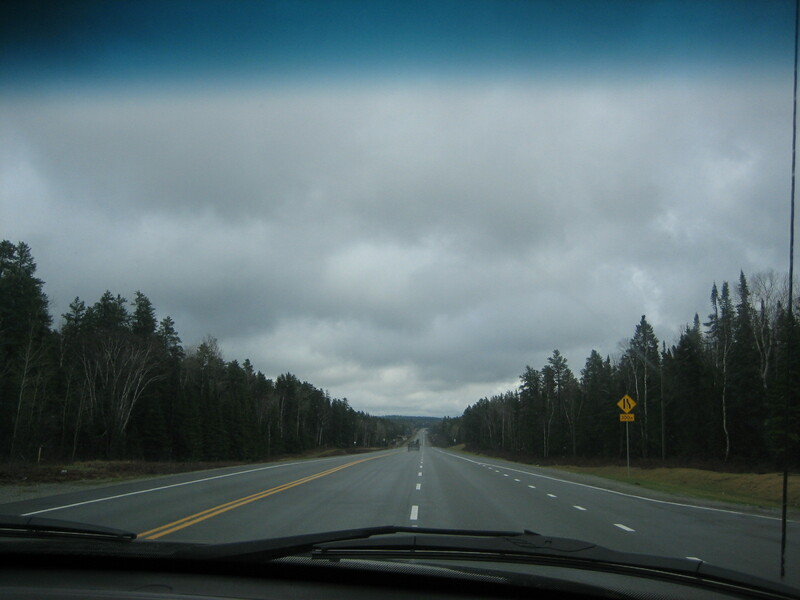 The stretch of highway between Cochrane and Iroquois Falls is the pits. They can put a man on the moon, but they can’t come up with a black top that will withstand the rigors of winter and of traffic. And there are no rest stops open. I guess they close them all for winter and reopen them at some point. There is no snow on the ground, so we do not understand why they have the stops still gated. The only places we can stop are the turn-around for the snow plows. It is apparently illegal for us to stop there. Obviously a great number of travelers have also stopped because the road side is littered with garbage. There are no refuse bins at those locations. We should have turned at Matheson to head for the province of Québec, but instead use the Kirkland Lake route. We get on Route 117, as I wouldn’t call it highway 117. We have Rouyn-Noranda in our sight. We stop along the way to fill up. In Rouyn, you have to drive through town, and it is a fairly large town. There is some sort of by-pass, but I don’t want to risk it. The travel map we have doesn’t give any details of that town. We make it past Rouyn and shoot for Malartic. Once we’ve made it past Malartic, we set our sights on Val d’Or (Valley of Gold). Gold mining was big in the middle part of the 20th Century in that region. I’m going at speed limit, despite the awful road, but some moron in a grey pickup truck keeps honking behind me. I’m not going fast enough to his liking. He finally passes us. He’s the only stupid motorist we’ve encountered so far, except for the two big rig drivers who thought they owned the rest stop in Longlac. As we travelled from Hearts and into Québec, we couldn’t find one rest stop that was open until we drive past Val d’Or. The scenery is beautiful despite the narrow road and the tractor trailers zooming by. They’ve got a deadline to meet or they are getting paid by the mile, or both. There is a small rest stop right next to a lake. There is a sign that reads “closed” but I don’t care and pull over. For some reason, the barrier is open. We park the truck and are happy to find that the women’s stall is unlocked. We admire the lake. It is cloudy, but not raining. After a bit of rest, we get back on the road. Next goal is Mont Laurier. To get there, we will have to drive through the La Vérendrye Wildlife Reserve. It’s a long stretch with no gas station, but we’ve got plenty of fuel in the tank. Besides, I have a 5 gallon jerry can at the back of the truck. At the beginning of the Reserve, there is a large rest stop on the left side. There isn’t much traffic, so we cut across the oncoming lane and park at the rest stop. It is surprisingly clean and there is a large building housing the rest rooms. They are also clean with lots of paper, running water and soap. We decide to have a bite to eat. A pair of ravens appears, calling out for their share of the lunch. We tossed some hard boiled eggs and pieces of apples in their direction. We are used to Ravens. Last summer, we fed three chicks that had landed on our roof. There were a noisy lot and we fed them cat food or dog food many times per day. We would put the food on a big concrete block we had. They would fly down and once the food was gone, they would fly back onto the roof. They still had their blue eyes. After a couple of weeks, they just flew off. They needed to hunt or scavenge for themselves. The roof was covered with doo doo. Over time, the rain washed it all off. We would have like to hang out a bit longer at the Wildlife Reserve rest stop, but it was time to leave. Again, the road was in bad shape. There were short stretches here and there that had been repaved, but for the most part, it was very bumpy. It’s slow going and there is no signage along the way indicating how far we are from Mont Laurier. I know that it’s a wildlife reserve, but it wouldn’t kill the environment to have some nice signs along the road showing how far you have to go. The only way we realize that we are out of the reserve is that we are starting to see some buildings. The Laurentian Mountains are beautiful even though the leaves are just starting to unfurl. Before we reach Mont-Laurier the road meanders through a village and there is a snack bar by the side of the so-called highway. We pull in the driveway taking up a few parking spaces. But we are tucked out of the way and the owner, whose nickname is “La Saucisse” tells us that the rig is fine where it is. He and his crew are very pleasant and welcoming. I order a poutine, of course. Québec being the land of poutine, La Saucisse serves the real deal. Portions are large and the prices are great, like the other two establishments I previously mentioned. The sun is setting. And to think that we were in Hearst that morning. We’ve got less than 200 km to go before we reach destination. 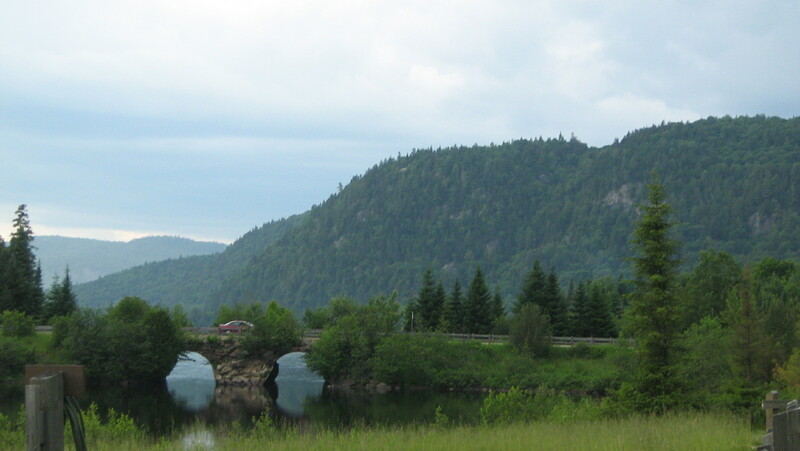 We get across Mont Laurier and reach Mont-Tremblant, famed for its skiing and all year-round resort area. By now, I’m really tired, but the goal is in sight and we finally make it at around 10:30pm. 17 hours on the road that day for the last leg of the trip. We get in the house and unpack the cat and the sleeping gear. We are ready to crash. We don’t know how Java Man will react. If the previous motel stays are any indication, he will not like it. But to our surprise, he immediately takes to the place. He loves it. We wake up to snow the next day, but we don’t care. We’ve made it. It took almost 7 days to drive 4500km. Despite having had the truck and trailer checked and serviced before departure, it was still no guarantee that nothing would happen. The moral of the story is that I’m happy I signed up for an automobile membership. On the one hand, we were fortunate to be able to call BCAA and on the other hand, we were promptly assisted, regardless of our location. The cost of membership was peanuts compared to what I would have paid if I had not become a member of the Canadian Automobile Association. 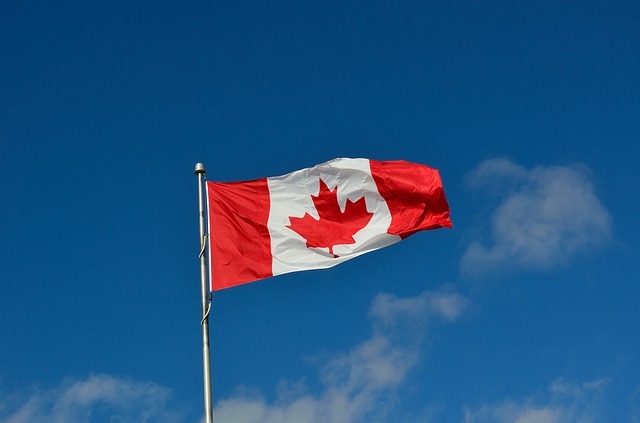 Canada is the second largest country in the world after Russia, so it pays to be prepared. And having an Automobile Association membership is a good place to start. Fascinated with the shiny buttons inside his great uncle’s Buick Electra, it didn’t take him long to get hooked on the car culture; both on the street and in racing. Michael has worked for a major oil company as a sales representative covering a territory of 40 gas stations. Afterwards, he became a chauffeur to high ranking politicians and government officials. Through lighthearted stories, he explores the relationship between Driver and Machine. 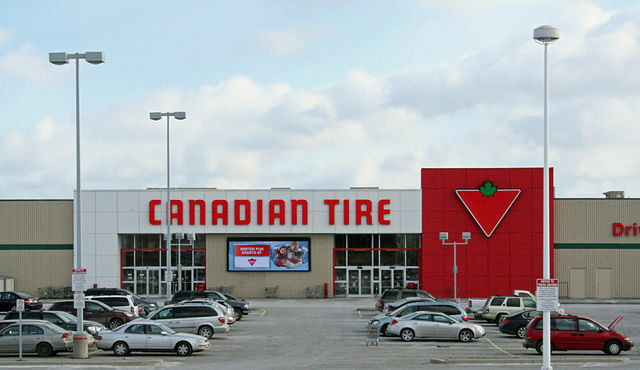 This entry was posted in The Driver's Edge and tagged canadian road trip, canadian tire, dryden, Ford, hearst, lachute, longlac, mont laurier. 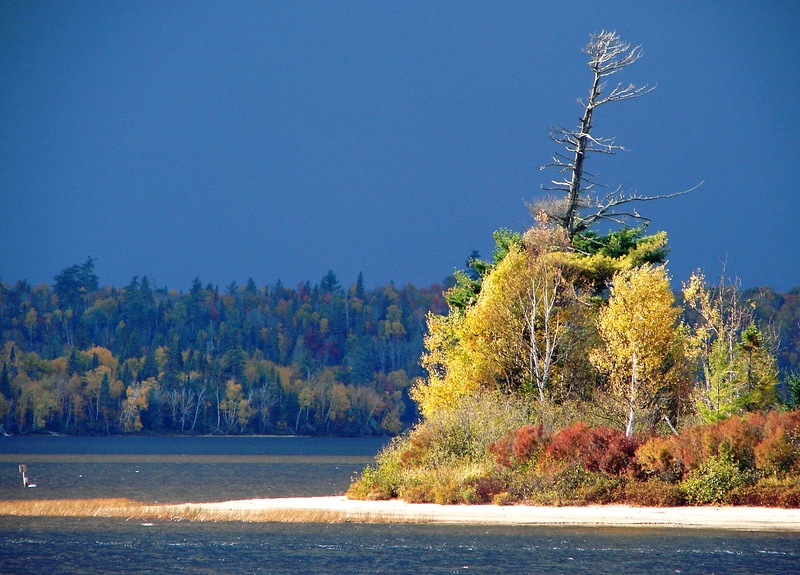 verendrye reserve, mont tremblant, ontario, quebec, smooth rock falls, thunder bay, trans-canada highway, traval, upsala, val d'or, wildlife reserve, winnipeg. Bookmark the permalink.